Bright “skewed” in the direction of populism left the country in almost complete isolation from foreign capital, and most importantly – to a significant extent, has absorbed many achievements of technological progress. Human resources of Venezuela was critically undermined “Western minds” left the country under pressure from the government, while the emphasis in the formation of the labour force was placed on the indigenous population. The result of this policy was autocratic power supported by a closed circle of military elites. Economic growth of the country was directly dependent on export. This approach to the structure of the state has a right to exist, but the specifics of the Bolivarian Republic of is that the petrodollar thread has provided a lot of dubious, often illegal operations of the ruling elites. Oil accounts for about 90% of the total exports of Venezuela, it concurrently all these years was the major driver for supporting economic growth of the country. A large-scale decline in oil prices in the years 2014-2016 (the collapse of over 78% over three years) was broadcast in the sharp decline of the Venezuelan economy from 2013 to 2017, it has decreased by 35%. Anti-crisis measures of the government of Maduro were not successful – the budget deficit of the country, with the downturn in the oil market tried to “roll” with the help of the printing press, which eventually led to hyperinflation. To the already deplorable situation added on the sanctions pressure from the States to the government of Maduro. Sanctions have substantially cut the range of possible sources of funding of the Venezuelan economy. One of the few possible ways to maintain economic activity in the country has become debt the paradigm of “oil for loans”, in which participated Russia, China and other countries. 23 January, the Venezuelan opposition leader Juan Guido declared himself “acting” President of Venezuela. These statements are found almost immediate support from the West, especially the United States, making the conflict within the country in the latest round of fighting authoritarian leader (this time in the face of Maduro) with the greatest global champion of democracy. The opposition in this confrontation is given a place of “tool”. Of course, the economic and humanitarian situation in the country requires urgent changes, the chances of which can appear only at sharp change of political course. However, in addition to noble intentions in support of the opposition, the state has its own, perhaps, “oil” interests. In the United States are now fully implemented a policy for energy dominance. And there is no doubt that the United States will not stop on the achieved progress in increasing the oil production (at the end of 2018, USA produced 11.8 million bbl./day, which puts the country in the first place by the volume of oil in the world). The United States will continue to boost its presence in the global oil export arena. However, the situation of the oil market poses the first economy in the world is very complex dilemma. In 2018, US back sanctions against Iranian oil exports. Mining exporter in the middle East reacted to the pressure of the expected decline that may extend into 2019. Weakening Iran, the us thus has progressed further in its geopolitical influence in the Middle East region. However, the price of victory was the loss of Iranian supplies. Of the major exporters of heavy oil, which are in a rather vulnerable position, remains Venezuela, where you are now and focuses the attention of the United States. You can wonder why you need such a large pressure on Maduro, who, in fact, refuses to put the black gold to the United States? The answer can serve as showgirl Venezuelan oil production. From 2013 to 2018, oil production in Venezuela declined by almost 36%. That is, throughout the reign of Maduro’s oil production in the Republic either stagnated or declined. Taking into account the foregoing factors limiting US access to Iranian raw materials, American oil industry really need Venezuelan oil and, moreover, the restoration of its production. The United States remains the largest importer of Venezuelan raw materials: about 40% of Venezuela’s oil exports goes to the United States. We can assume that the support of the opposition has a clear economic basis – if the current political regime falls, the new government will pave the way for the restoration of the national oil industry, and the Americans, therefore, get a reliable access to Venezuelan oil. In resolving the political crisis in Venezuela are also interested in China and Russia. China has invested in Venezuela to obtain cheap oil and generally has similar interests with the United States. In my opinion, China will be able to agree on the continuation of cooperation in the framework of “oil for loans” almost all the possible scenarios of further events (except for the conflict to escalate into a full civil war). Against this background, the risks for Chinese investors involved in the Venezuelan projects and lines of debt financing is limited. For Russia, the situation looks more complex. Her interests in Venezuela are mostly political, and support for the regime Maduro is a kind of counterweight to the growth of American influence. 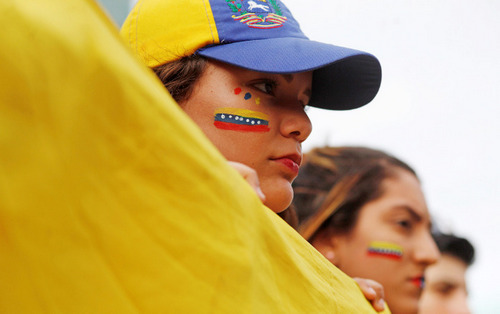 Zugzwang (a position in chess, when any move worsens the position of the player –Forbes) for Russia in Venezuela is that the rejection of ambition “defender” of the current political regime is equivalent to the loss of political weight on the world stage. A continuation of the same line of intolerance to the opposition threatens a new aggravation of relations with the West and risk of non-payment of Venezuelan debts. — Maduro voluntarily resigns. In this case, the opposition to peacefully come to power, peresekutsya agreements with the US and with Russia and China. For Moscow, this scenario could be the most positive. Markets: Risks that are generated for price conjuncture in the oil market, in my opinion, in the next 2-3 years is very limited – to ensure that the new government managed to stop the collapse of oil production in the Republic can take a lot of time and a huge amount of resources, especially labor. Political crisis goes into civil war. The most negative scenario. The economy will suffer a devastating blow, the oil industry is on the brink of destruction. For Russia, such a development carries the most significant risks, as the format of the civil war in Venezuela can resemble a Syrian. Markets: Russia is likely to continue to full support of Maduro, which inevitably translates to an increased Western sanctions on Russia. Venezuelan oil can be almost completely away from the market, which will be an additional positive impetus to the dynamics of oil prices. — After a certain period of time the opposition wins with the support of the Western allies, Maduro adds powers. The neutral scenario for most parties, except for Russia. In this case, she probably will protest against the new government until the last (up to the non-recognition of its legitimacy), which also increases sanctions risks. The opposition quickly neutralized army, Maduro remains in power. Venezuela’s economy falls into an even more sloping rails. Markets: Oil market gets a neutral effect. However, the medium term in this case can form a positive impetus for oil prices for Venezuela in this case may be implemented by the Iranian scenario 2012 in the form of oil embargo. It is likely to support the majority of netimporters, including the EU and Asia. The market will further go about 500-700 thousand barrels/day. 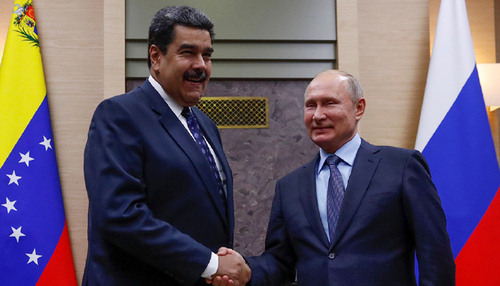 For our country, a scenario could develop in a negative way – if the Russian authorities will continue to support Venezuela under the oil embargo, the Russian companies also run the risk of being subject to Western sanctions.